Perfect for counting, measuring and patterning. 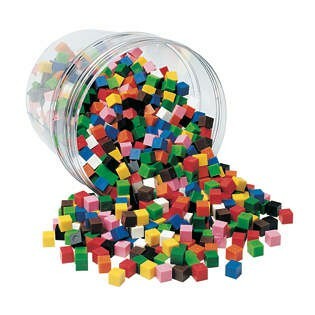 Set of 500 plastic one-centimeter cubes in 10 colors comes in a convenient storage tub with Activity Guide. Ages 6+. From Learning Resources.